Station 58 was alerted for an early morning MVA. Crews arrived on location and found no vehicle, and one broken electrical pole. If your involved in an accident please remain at the location so we can have the EMS crew check you for injuries you my not know you have as well as letting the fire department check over the vehicle for leaking fluids and possible fire hazards. 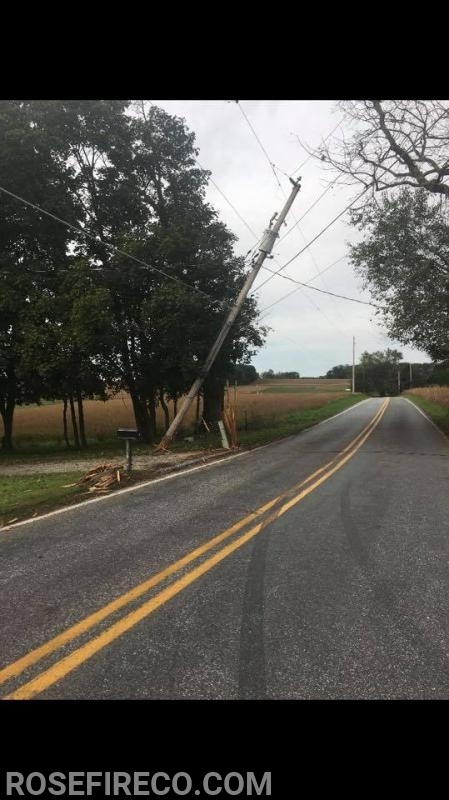 In this incident we had down lines that may have been resting on or around the vehicle that could have caused serious injury or death if energized.